Plenty of Action to Enthrall. Just what one would expect from a TRUE VIKING! Sarah Hillier - "This is a warm and lyrical spring tale, in which Fearne Fairy teaches some mischievous bunnies an important lesson. Whimsy Wood is a magical setting, filled with perky woodland characters. "- Sarah Hillier, County Children's Librarian, Wiltshire, UK. 33% of the publishers profit from the sale of this book will be donated to charities. 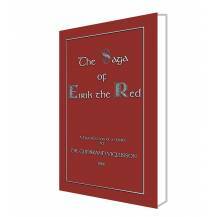 This is the Saga of Eirik the Red. This volume is more saga, or fact, than fiction. 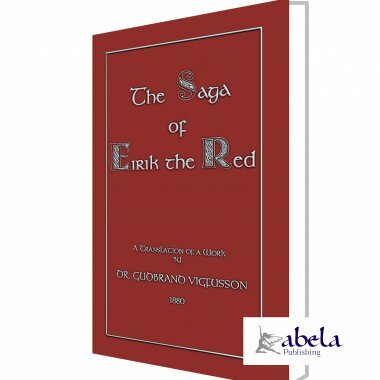 Despite this being a fact-based saga there is still plenty of action to enthral, for Eirik the Red and his two sons, Thorstein and Leif, were definitely men of action. It charts how his family first came to Iceland, his birth, his removal from Norway, his discovery of Greenland and the birth of his, more famous son Leif (Ericson/Erickson). It also gives account for time spent in Vinland (Nova Scotia) and gives account of their interaction with and action defending against the people they called the Skrlingar, or, North American Indians. The translators have also supplied the modern geographic names of the area of Nova Scotia where dwellings were built.  This volume also charts some of Leif Ericsons life. Also known as Leif the Lucky, he was the second son of Eirik the Red and certainly also displayed the Viking spirit of adventure and exploration. As a young man Leif Ericsson visited Norway, where he converted to Christianity. He was charged with returning to Greenland to convert the populace, but instead sailed further west and is believed to have landed somewhere in Nova Scotia. He spent a year in North America before returning home to Greenland, where he served as governor converting the island to the Christian belief (for a more complete account of Leifs saga try The Thrall of Leif the Lucky also republished by Abela Publishing. The film The Viking (1928) was based on the life story of Leif and incorporates a good deal of authentic Viking history. There was a man named Thorvald, the son of Asvald, the son of Ulf, the son of Yxna-Thoris. His son was named Eirik. Father and son removed from Jadar (in Norway) to Iceland, because of manslaughters, and occupied land in Hornstrandir, and dwelt at Drangar. There Thorvald died, and Eirik then married Thjodhild, daughter of Jorund, the son of Atli, and of Thorbjorg the Ship-breasted, whom afterwards Thorbjorn, of the Haukadalr (Hawkdale) family, married; he it was who dwelt at Eiriksstadr after Eirik removed from the north. It is near Vatzhorn. Then did Eirik's thralls cause a landslip on the estate of Valthjof, at Valthjofsstadr. Eyjolf the Foul, his kinsman, slew the thralls beside Skeidsbrekkur (slopes of the race-course), above Vatzhorn. In return Eirik slew Eyjolf the Foul; he slew also Hrafn the Dueller, at Leikskalar (playbooths). Gerstein, and Odd of Jorfi, kinsman of Eyjolf, were found willing to follow up his death by a legal prosecution; and then was Eirik banished from Haukadalr. He occupied then Brokey and Eyxney, and dwelt at Tradir, in Sudrey, the first winter. At this time did he lend to Thorgest pillars for seat-stocks, Afterwards Eirik removed into Eyxney, and dwelt at Eiriksstadr. He then claimed his pillars, and got them not. Then went Eirik and fetched the pillars from Breidabolstadr, and Thorgest went after him. They fought at a short distance from the hay-yard at Drangar, and there fell two sons of Thorgest, and some other men. After that they both kept a large body of men together. Styr gave assistance to Eirik, as also did Eyjolf, of Sviney, Thorbjorn Vifilsson, and the sons of Thorbrand, of Alptafjordr (Swanfirth). But the sons of Thord Gellir, as also Thorgeir, of Hitardalr (Hotdale), Aslak, of Langadalr (Longdale), and Illugi, his son, gave assistance to Thorgest. Eirik and his people were outlawed at Thorsnes Thing. He prepared a ship in Eiriksvagr (creek), and Eyjolf concealed him in Dimunarvagr while Thorgest and his people sought him among the islands. Eirik said to his people that he purposed to seek for the land which Gunnbjorn, the son of Ulf the Crow, saw when he was driven westwards over the ocean, and discovered Gunnbjarnarsker (Gunnbjorn's rock or skerry). He promised that he would return to visit his friends if he found the land. Thorbjorn, and Eyjolf, and Styr accompanied Eirik beyond the islands. They separated in the most friendly manner, Eirik saying that he would be of the like assistance to them, if he should be able so to be, and they should happen to need him. Then he sailed oceanwards under Snfellsjokull (snow mountain glacier), and arrived at the glacier called Blaserkr (Blue-shirt); thence he journeyed south to see if there were any inhabitants of the country. He passed the first winter at Eiriksey, near the middle, of the Vestribygd (western settlement). The following spring he proceeded to Eiriksfjordr, and fixed his abode there. During the summer he proceeded into the unpeopled districts in the west, and was there a long time, giving names to the places far and wide. The second winter he passed in Eiriksholmar (isles), off Hvarfsgnupr (peak of disappearance, Cape Farewell); and the third summer he went altogether northwards, to Snfell and into Hrafnsfjordr (Ravensfirth); considering then that he had come to the head of Eiriksfjordr, he turned back, and passed the third winter in Eiriksey, before the mouth of Eiriksfjordr. Now, afterwards, during the summer, he proceeded to Iceland, and came to Breidafjordr (Broadfirth). This winter he was with Ingolf, at Holmlatr (Island-litter). During the spring, Thorgest and he fought, and Eirik met with defeat. After that they were reconciled. In the summer Eirik went to live in the land which he had discovered, and which he called Greenland, Because, said he, men will desire much the more to go there if the land has a good name. Sarah Hillier "This is a warm and lyrical spring tale, in which Fearne Fairy teaches some mischievous bunnies an important lesson. Whimsy Wood is a magical setting, filled with perky woodland characters. "- Sarah Hillier, County Children's Librarian, Wiltshire, UK. Ella Evans "I love Fearne Fairy as she's funny and friendly, clever and wise." Freya Love "A great bedtime story full of magical creatures and fluffy bunnies." 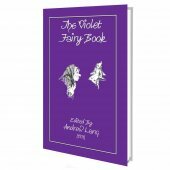 Millie Westmacott "I loved Fearne's singing in this magical book. My new rabbit will be called Raspberry!" This review is for a similar product: FEARNE FAIRY AND THE CHOCOLATE CATERPILLAR - Book 9 in the Whimsy Wood Series - PRE-ORDER NOW! Readers Favourite, U.S. "The Whimsy Wood folk are timeless characters in the fashion of Potter, Milne and White. In time, The Whimsy Wood Series is likely to find its place in the lexicon of classic childrens literature." Readers Favourite, U.S.
Martha Barber "I loved this book Its great that Fearne is different to other fairies and her awful singing made me laugh." Martha Barber, 7 years. Annie Watts "I like the animals in this book as they make me laugh, especially when they say, C-c-crunching c-c-cucumbers." Annie Watts, 6 years. Gemma Hodgson "Sarah Hill brings Fearne Fairy and the Whimsy Wood folk to life, in a way that children will relate to. The alliteration and onomatopoeia, combined with an uplifting and heart-warming story, make this a joy to read." Gemma Hodgson, English Co-ordinator at Wyberton Primary School, Wyberton, Lincolnshire. Sadie Gregory "I loved Mustard His little legs kicking about covered in chocolate was very funny." Sadie Gregory, 6 years. Bo Griffiths "I loved it. It was a really charming book." Bo Griffiths, 8 years. Andrew A wonderful, well written adventure. I could not put this one down! Dharma Printing is large and legible, there is frequent footnoting with information about the text, the translation, etc. I found that very thorough and I appreciated it. Pinefeller (Amazon) Book is very well structured with a small forward, and notes on the bottom of each page explaining certain things and the Bellow's interpretation of the original text. Great to finally have a physical copy. Celia This is an English language collection of traditional children’s fairy stories from Myanmar/Burma. It’s a lovely idea that translates into a delightful book. I gave a couple of copies as Xmas presents and it went down a storm with kids and parents alike. As a bonus, it provides an unusual insight into Burmese culture and thinking too! Owen Thurlow If you are interested in the book of psalms in the Old Testament it is well worth getting this book. The introductions are easy to understand. Rob Pascoe A lovely book, with imaginative characters and an engaging story. Beautiful illustrations make this a delight for young children and perfect for inspiring their own adventures. Thoroughly recommended!! Laura Willcox A magical whimsy world with the most wonderful descriptions to capture a child's imagination. 'Posie Pixie and the Lost Matchbox' is the perfect book to ignite a love for reading. Mrs Rutland My 6 year old son and I have just read this together. He has never sat so quietly, listening intently! Plenty of adjectives to entertain and you can have a go at an Irish accent! He loved the illustrations. You're left wanting to know what the next adventure will be. Now we're waiting for the next book to come out! Martin The ultimate campfire tales book. a great find! Sally Munday Traditional Roma Gypsy tales - fantastic to read to kids. We deliver to destinations all over the world, and here at Abela, we have some of the best rates in the book industry. We charge shipping dependant on the book you have ordered and where in the world you are ordering from. This will be shown below the price of the book. The delivery time is typically dependant on where in the world you are ordering from, Should you need a estimated delivery time, please do not hesitate to contact us. We pride ourselves on the quality of our packaging and damage rates are very low. In the unlikely event there is damage please contact us before returning your item, as you may have to pay for return shipping, if you have not let us know. Due to the nature of books being read then returned for a refund, unfortunately we do not accept returns unless the item is damaged and we are notified ON THE DAY OF DELIVERY. Copyright 2019 Abela Publishing. All rights reserved.